No wonder why!!! 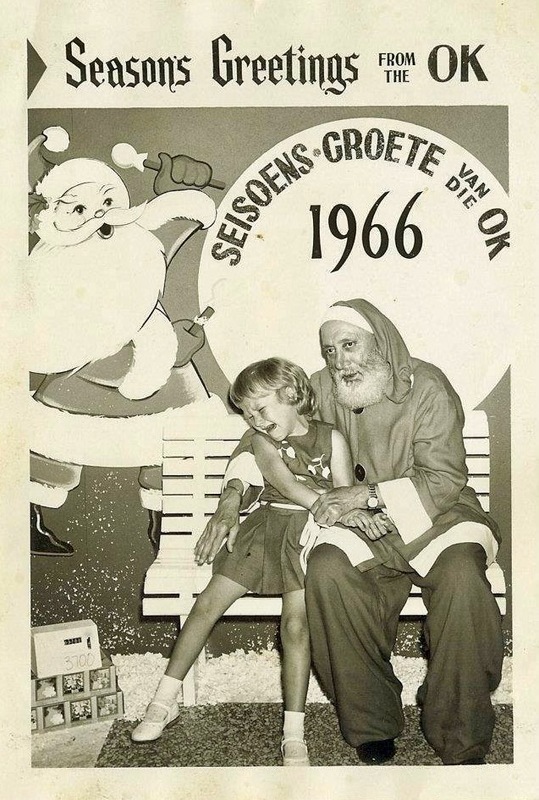 That Santa looks really scary! Who would like to be sitting next to him! I think I would even had refused the presents that Christmas. I never enjoyed going to see Santa either, even though it was always an enforced annual ritual at John Lewis’ store in Birmingham, so I sympathise with you! I always found Santas and clowns very disturbing. That’s one of the scariest Santas I’ve ever seen! You poor thing! I can see why! He looks super creepy!